There are 1.59 billion daily active users on Facebook and 50 million business pages – if yours is one of them then you’ll be familiar with the constant pressure to publish something interesting every. Single. Day. But how easy is it to think up entertaining content to share on the world’s biggest social network every day? Especially when it’s the busiest weekend of the year so far and you’re expecting 33 new arrivals…. Easter weekend is a big opportunity for tourism businesses throughout the UK as they seek to capitalise on the first long Bank Holiday weekend and the inevitable arrival of tourists looking for something a bit special. So how do you make the most of the opportunities, while still delivering an excellent customer experience for your guests? 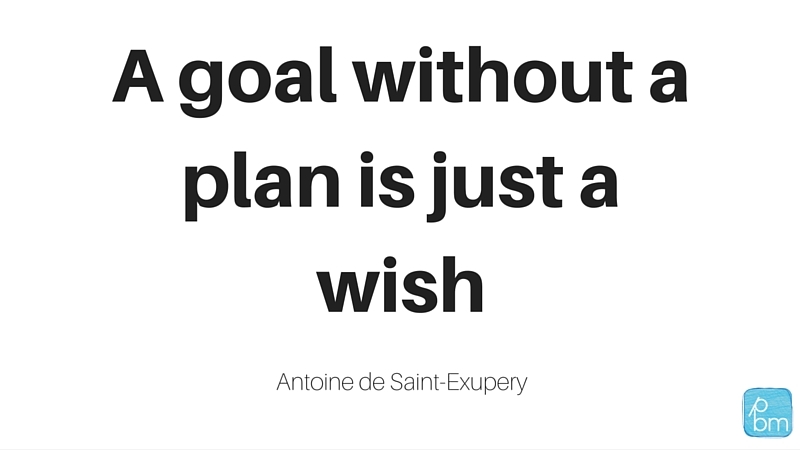 As with most things, it’s all in the planning. 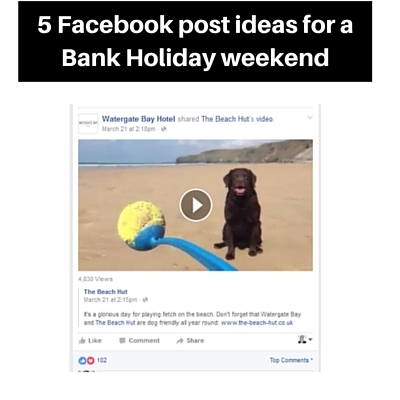 Keep your Facebook page alive with engaging content this bank holiday weekend, while still looking after your guests and hopefully even enjoying a bit of relaxation yourself. Content that’s working well in terms of organic reach at the moment on Facebook is video, particularly live video streamed to your page in real time. I went into detail a couple of weeks ago about how to use the new live video feature (read the full post here) so I won’t repeat it here but if you can, it’s pretty much guaranteed to give your page a boost. 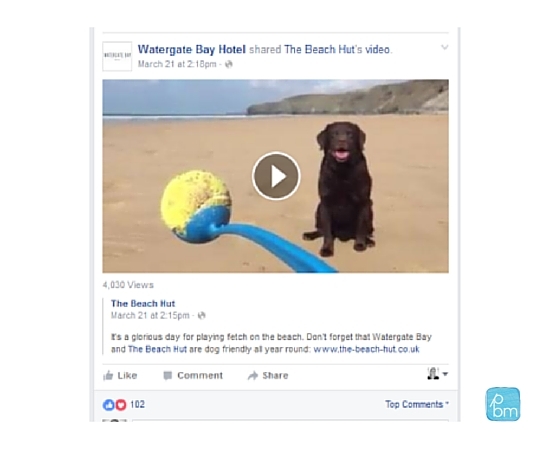 Video is still big on Facebook, even if you’re not live-streaming, and it doesn’t have to be a Hollywood production – a simple video of the waves crashing in on your local beach on your smartphone could easily reach thousands of people. Be aware of what’s going on around you – the daffodils blowing in the wind, the chef preparing lunch, your dog running around the local park – events that seem everyday and boring to you could be fascinating to someone hundreds of miles away sitting in their office. There is plenty going on near you this Easter Bank Holiday – Easter Egg Hunts at National Trust properties, celebrity guest appearances at local attractions, themed craft activities – your guests will want to know what’s happening near you to keep them entertained (whatever the weather). Share highlights from other Facebook pages or links to comprehensive What’s On guides. Photographs and videos of food stand out on social media, so use this Bank Holiday weekend as an opportunity to share some mouth-watering photos of the dishes on offer at your business. 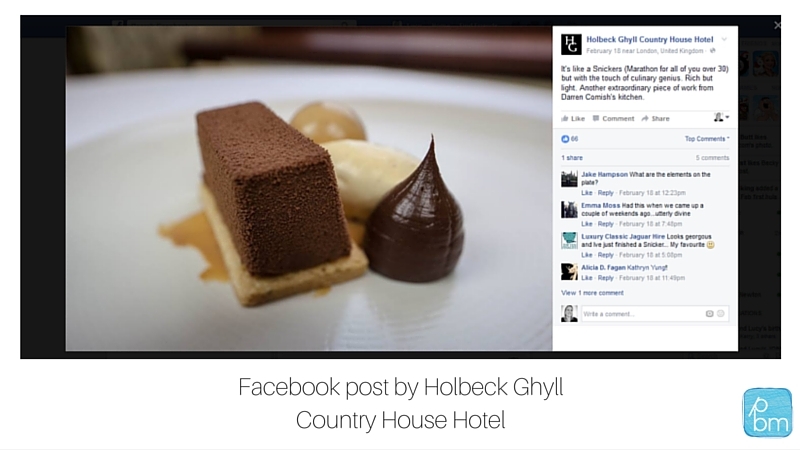 Create time-lapse videos of dishes being created, or, like Holbeck Ghyll County House Hotel above, post photos of finished dishes ready to serve. You see it everyday, you can become immune to the beauty of the countryside around your business – but open your eyes and see the views with fresh eyes. Share photos on your Facebook page so people can see what they’re missing! Once you have your posts planned and ready to go, use Facebook’s scheduling tool to publish them over the Bank Holiday weekend. 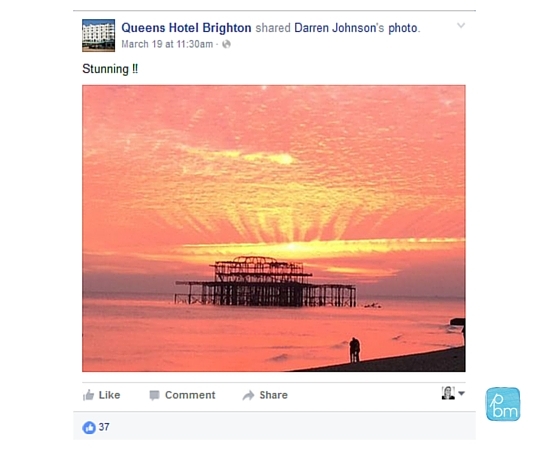 It can be a challenge to keep creating new content for your Facebook page, but sometimes something as simple as a video of the sun rising can make the difference between a reach of 25 and 25,000. Plan ahead now and get your Facebook posts scheduled now so you can focus on giving your guests an Easter Bank holiday to remember.